Ruhr Energy Technology Co., Ltd.
AISH warm pack is a patented product in Germany and apread fashionable in Eurpe and American. The new generation of thermal therapy product is firstly entered into Chinese market,launched by the domestic application and promotion platform for thermotherapy. 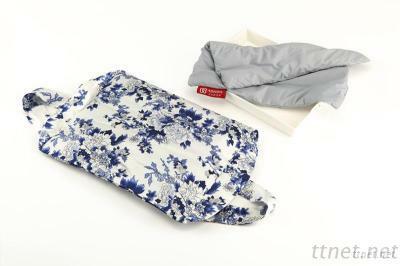 This product is developed by the German team of professionals,AISH warm pack combines the design conceptof refinement and design mentality of humanistic care as well as the application of the forefront patents and the advanced material.We have successfully upgraded the traditional body-warming to body-thermotherapy.AISH warm pack will afford you flexible and comfortable heat therapy experience. Especially to the chronic muscle atrain of officer and drivers, rheumatoid and arthritis pain of the old,AISH can provide flexible and comfortable heat therapy for neck,waist,kneeand abdomen,et.al. Promote the blood’s circulation,strengthen the cell’s vitality,elimininate the fatigue and relax the body. Promote the elimination of inflammation of soft fissue traumas when injured. Relax the muscle,tendon and ligament,eliminate the muscular spasm and relieve the pain. AISH Warm Pack,angle of love,to warm whose heart you love and concerned everyday. bone spurs, disc herniation, lumbar muscle strain, gastrointestinal spasms, renal colic, acute and chronic diarrhea, abdominal pain, cold woman, women dysmenorrhea.